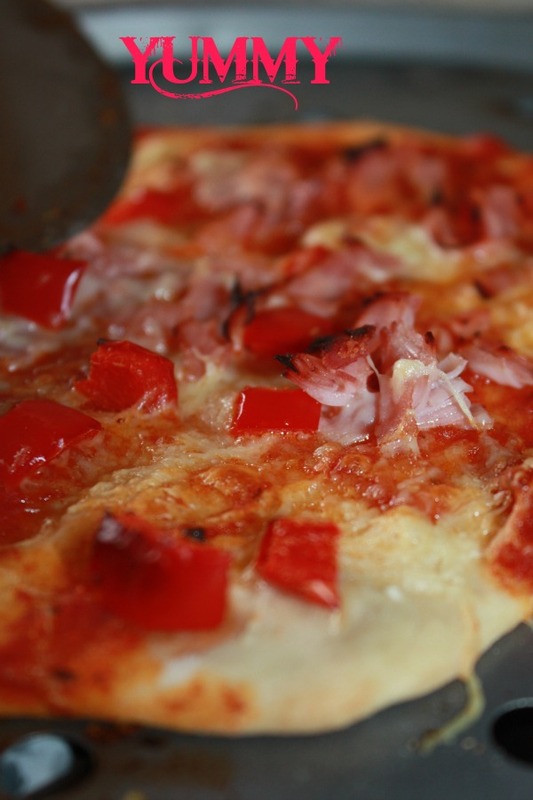 Pizza….. who doesn’t love it? Now, I have officially never made this recipe on my own! It is hugely kid friendly and great fun so the girls always get to join in. 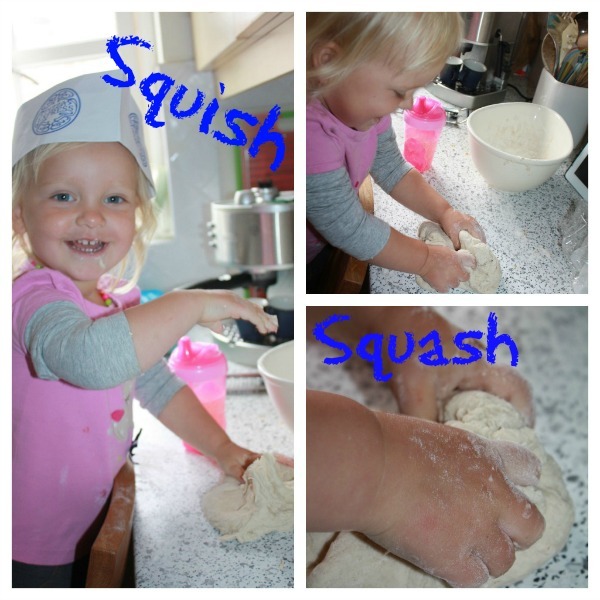 Think of the sensory play benefits, not the mess as you get your kids involved with touching the soft flour, feeling and smelling and squidging the slightly warm dough and rolling it out. It takes hardly any time at all to make these and never seems to fail to result in yummy pizza – bonus! No need to prove this mix, simply divide up the dough and get rolling out. 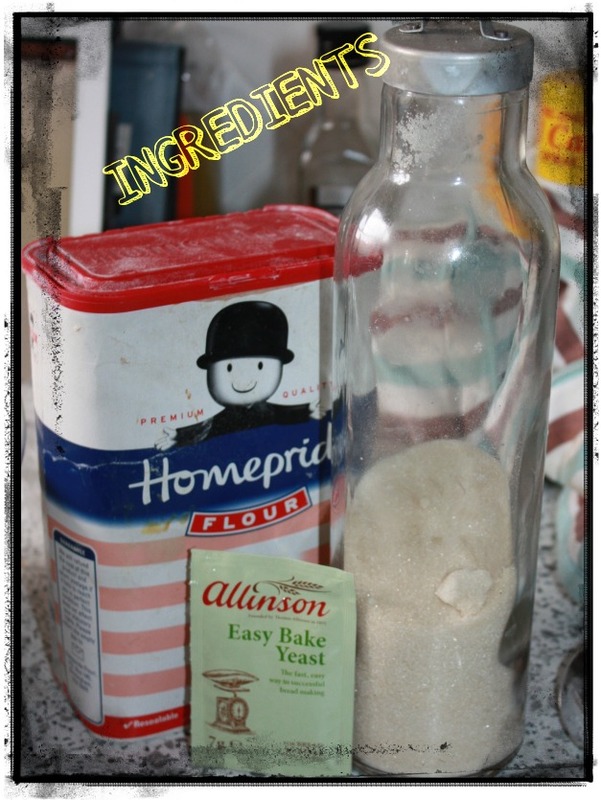 Use plenty of flour so the dough doesn’t stick to your table. If you don’t have a rolling pin, an empty or unopened bottle works really well! 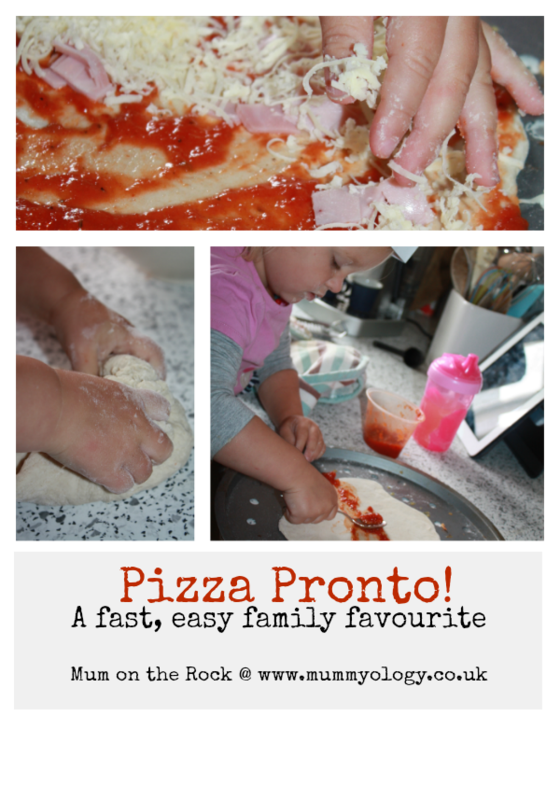 This recipe usually makes either 2 large pizzas or 4 mini kids size pizzas, I double the lot if I am feeding 4 grown ups. Now for the fun bit….the toppings! I want to try this pizza sauce from Jamie Oliver though, it sounds too easy and good not to try and I guess you could freeze it into batches too. Peel and finely slice the garlic. Pick the basil leaves and discard the stalks. Heat a saucepan on a medium-low heat and add a splash of olive oil and the garlic. Cook gently until the garlic starts to turn golden, then add most of the basil leaves, the tomatoes, and a good pinch of salt and pepper. Cook gently for around 20 minutes, or until smooth, mashing the tomatoes up with a wooden spoon as it cooks. When done, have a little taste, and season again if needed. 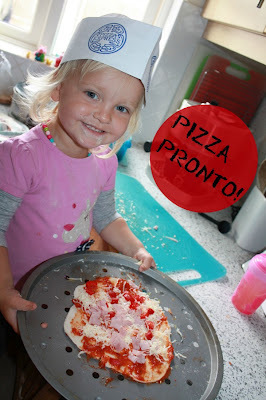 Once you or your kids have professionally spread tomato sauce on your bases, let the kids go to town on toppings. Bea is really hooked onto the idea that there should be a rainbow in her tummy (i.e. eat loads of different colour things of lovely bright colours and full of lovely healthy vitamins) I know pizza isn’t the healthiest of meals but you really can add pretty much anything to a pizza and the girls love putting loads of veg on theirs as well as cheese! Once you finished your masterpieces, just pop them in the oven at approx 190C for 15mins. I have pizza trays that are brilliant for ensuring you get a nice crispy base. Check your pizzas after 15 minutes and depending on how thick or thin you managed to roll them they might need a bit longer. 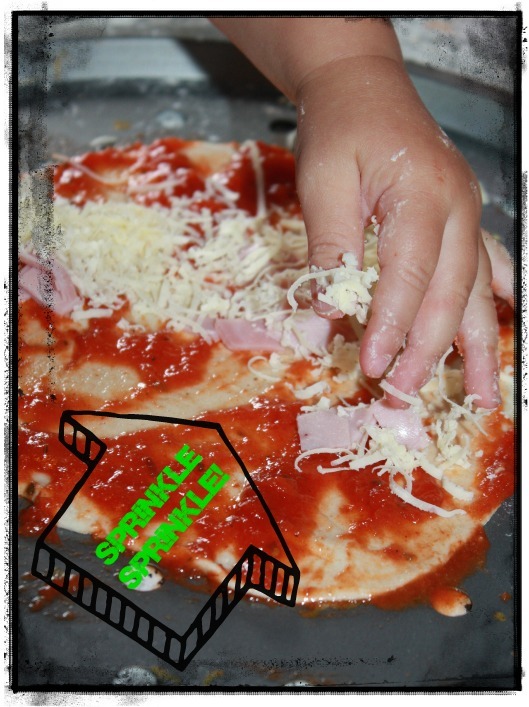 If you have more dough than you need, roll out mini pizza bases and freeze them with some baking paper in-between so they don’t stick together – then you have even quicker pizzas at your disposal, simply top frozen base and cook from frozen in 10 – 15 mins. Seven simple steps to swap ready-meals for home cooking Kids can LOVE spinach (no i haven’t gone mad!) 5 Favourite Blogs for Purposeful Play 5 Fast craft ideas Masterchef for mummies – 10 easy meals for your kids to enjoy 5 Best Blogs for Parenting and Play Introducing the Easter smush cookie Make TIME for Christmas time…. Pizza is one of our favorite things to make together. Love the chef hat! Pinned this.